Philipp Ochs has been a stand out player since his early years. 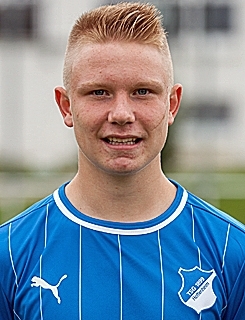 He joined TSG 1899 Hoffenheim youth academy at the age of 13. In 2012 young “Hoffe” team won presigious Audi Cup in Hungary and Philip became the top scorer, who scored on every match and scored 6 goals altogether, including two in the final against NK Zagreb. He is a regular Germany international, currently playing for its U-18 set up. In 2014 he was one of the best players of German national team at UEFA European Under-17 Championship, but young “Die Mannschaft” generation failed, earning only one point in the group stage.